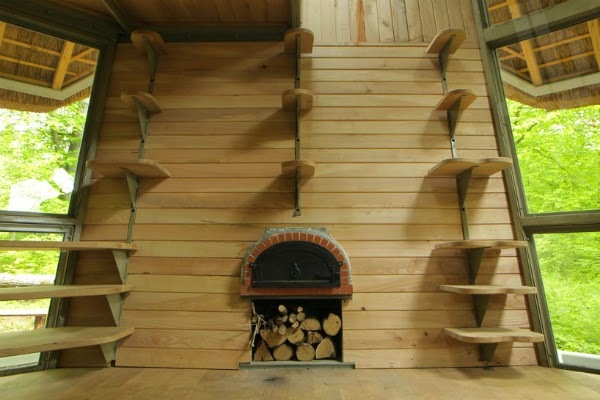 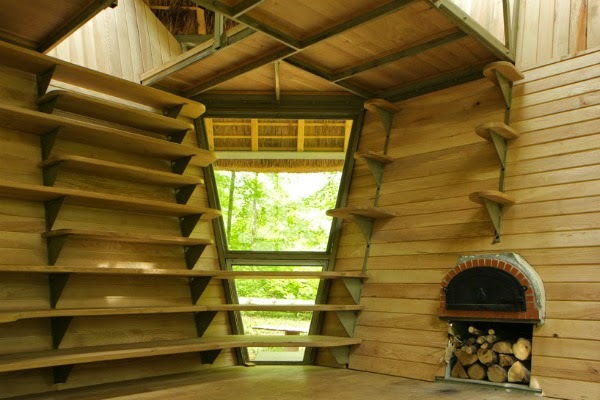 Industrial designer Matali Crasset has created feral-type shelters called 'Le Nichoir' (The Bird nest), in collaboration with inhabitants and volunteers of Le Vent des Forêts in Fresnes-au-Mont, France. 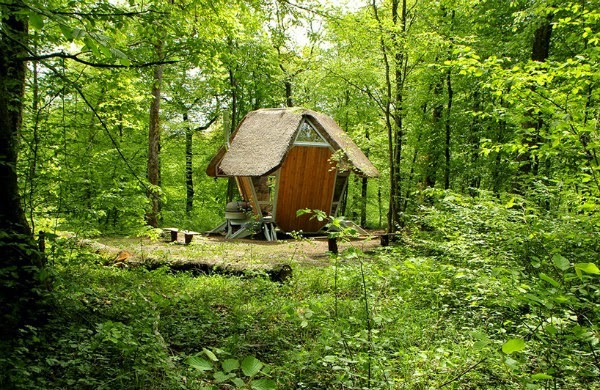 The Le Vent des Forêts is a small colonies like cluster of six small villages located in the forest. 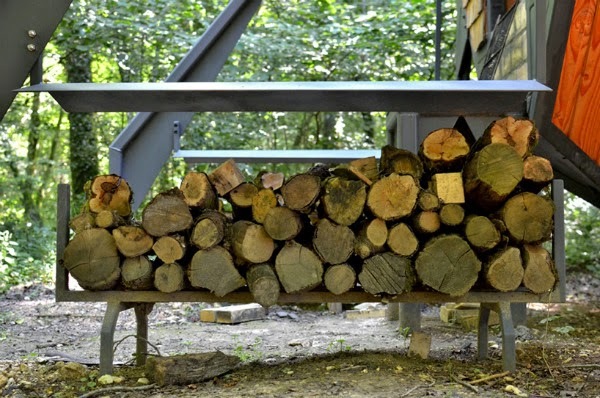 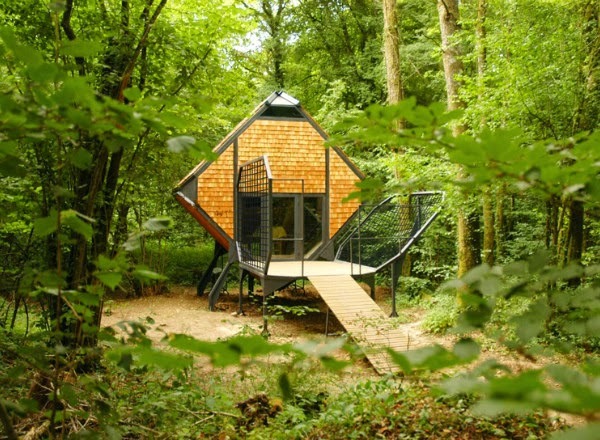 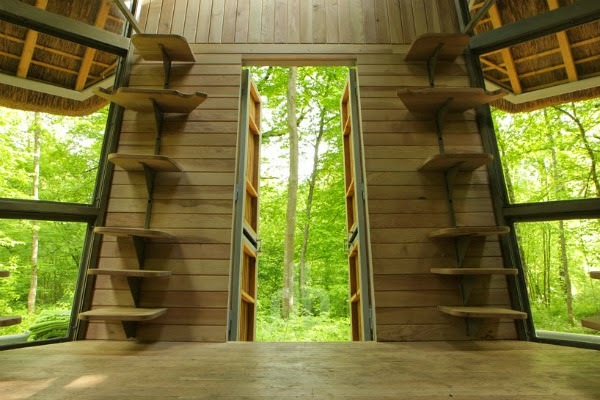 The cabin is a centrally positioned work of art in the forest and up for rent for visitors, hikers, nature-lovers and everyone who enjoys being outside in the woods. 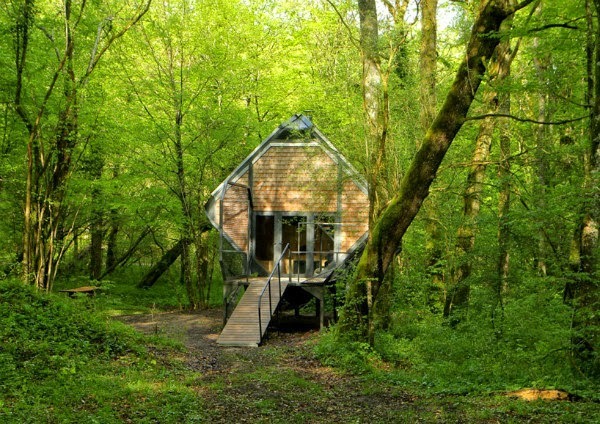 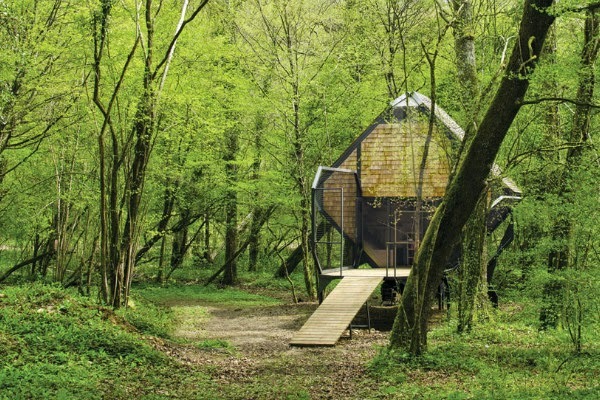 The hut is basically an ecological Hotel room offering basic and embryonic comfort. 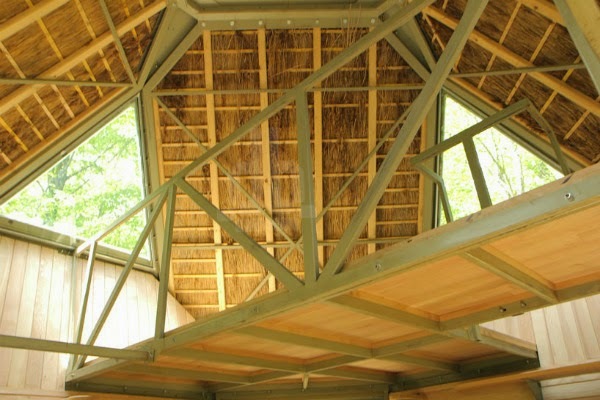 The combination of acacia wood, Douglas pines and galvanized steel blends perfectly into the surrounding environment, “camouflaged in nature and the securing undergrowth shadows which slowly appear.” The lightweight structure has been built without being grounded completely, so it can be moved around the forest without harming nature upsetting the ecosystem, Matali explains.